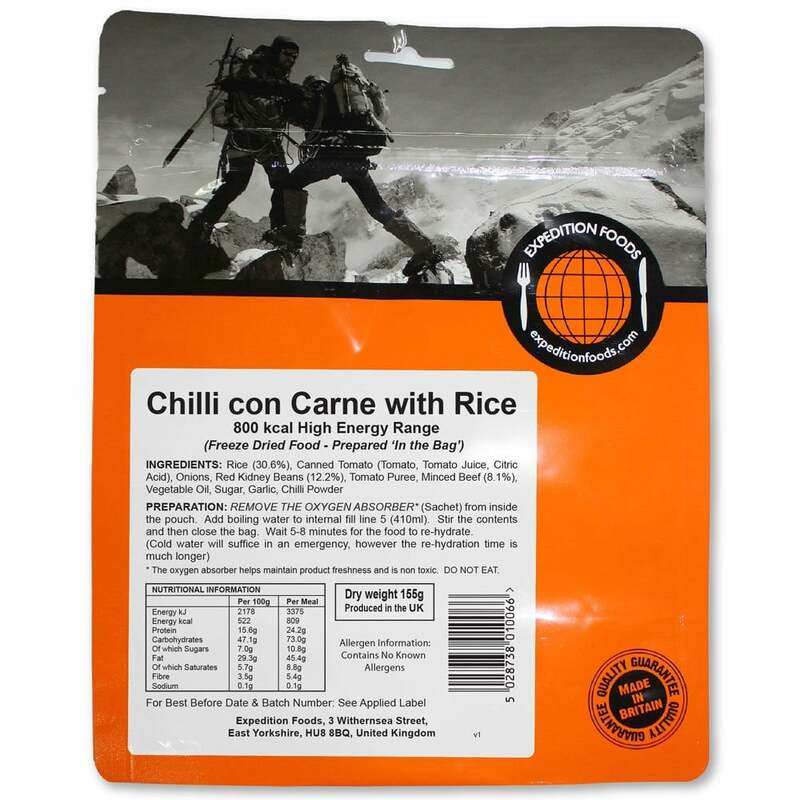 Expedition Foods Chilli Con Carne with Rice, high energy serving Beef, red kidney beans and onions in a chilli tomato sauce with rice. Remove the oxygen absorber (sachet) from inside the pouch. Add boiling water to just above internal fill line 5, stir the contents and then close the bag and wait 5-8 minutes for the food to re-hydrate. Rice, Tomatoes, Onions, Red Kidney Beans, Minced Beef (8.1%), Tomato Puree, Vegetable Oil, Sugar, Garlic, Chilli Con Carne with Rice.